Get down with Midtown Funk, now available in calorie-reduced fun sizes! What’s cooler than being cool? 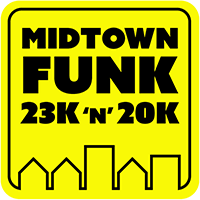 Multiple distance options for the Midtown Funk 26k, that’s what! 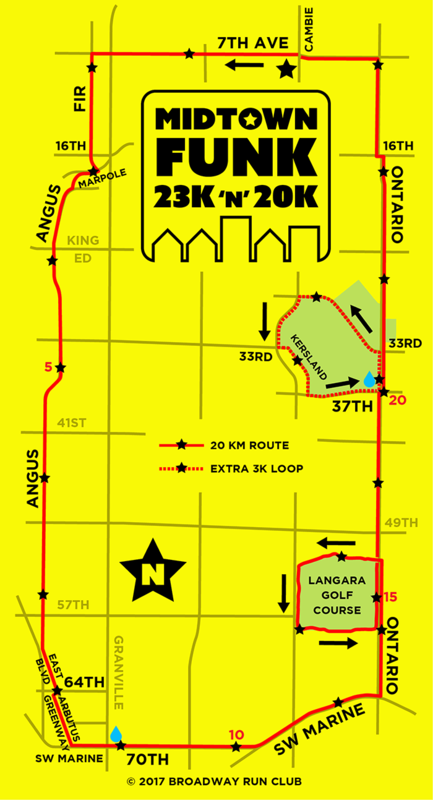 The Midtown Funk 20k cuts out the Shaughnessy and Queen E loops of the original Midtown Funk route, while the 23k skips the Shaughnessy loop and runs the complete perimeter of Queen E Park. Just for fun, we included a little slice of the Arbutus Greenway path between 64th and 70th Avenues which wasn’t yet open when the O.G. Midtown Funk debuted.